Most of us dream of retiring to a life of leisure, with a nest egg that will enable us to live comfortably. But according to the Government Accountability Office, up to two-thirds of workers are at risk of not maintaining the same standard of living they enjoyed pre-retirement. Groceries are well-priced and good quality, and fresh produce is widely available. According to Numbeo, the average price of a loaf of bread is $1, a dozen eggs is $1.60, and a pound of rice costs just 50 cents. A three-course meal for two at a midrange restaurant costs $18, so you'll also be able to enjoy regular evenings out. The transport infrastructure in Thailand is also good, with tuk tuks, taxis, and public transport providing easy ways to get around. Costs are low, with Numbeo suggesting the flag fare for an average one-way taxi ride is about $1, plus 50 cents per mile after that. Have no criminal record in Thailand or the country where you are applying. Apply in your country of nationality or residence. Not have prohibited diseases, including tuberculosis or drug addiction. 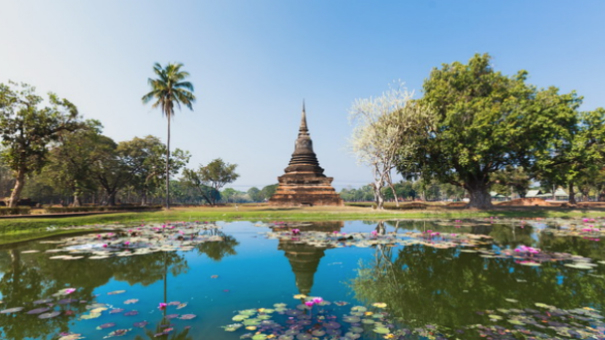 Have monthly income of 65,000 baht ($1,984 at the time of writing) per month, or a Thai bank account with a minimum deposit of 800,000 baht ($24,420 at the time of writing) in savings. The cheapest place to buy fresh produce is from the local markets throughout the country, but there are also many supermarkets with wider selections of international goods. As of this writing, Numbeo lists the average price of a loaf of bread as $1.10, a dozen eggs as $1.40, and a pound of rice as 50 cents. Splashing out on a three-course meal for two at a midrange restaurant will cost $16. Transport systems in Bolivia are not the most advanced, but there are good public bus networks and inexpensive taxi services in most areas. According to Numbeo, the average cost of a one way bus fare is about 30 cents, and the starting fare for a taxi is $1.15 with $1.85 added for each mile. To retire in Bolivia, you’ll need to first apply for a specific purpose visa (visa de objeto determinado, in Spanish) with the Bolivian consulate in your country. 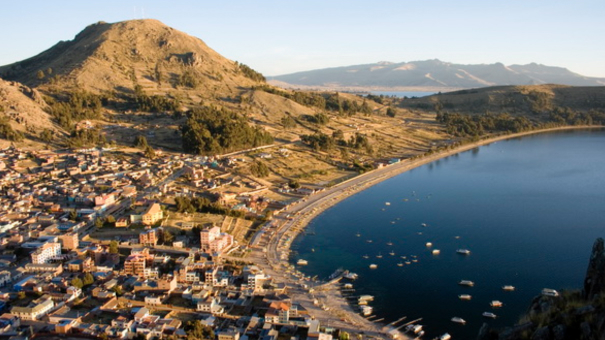 The specific purpose visa is a travel visa that allows you to be in Bolivia for 30 days. During these 30 days you must begin your application for residency. One of the main requirements for retirees is proof that you can support yourself financially while living in Bolivia. You’ll usually be required to submit six months’ worth of recent bank statements. You’ll also need to get a police clearance. Once you've turned in your residency application and have completed all the requirements for residency, you can remain in Bolivia until the government either accepts or rejects your application. During this time you will get a document that shows your residency application is "en trámite" (being processed). The application process for residency in Bolivia is not complicated, but requires a fair amount of running around to different institutions. Still, the cost of living is so low here that it’s worth the effort to apply. Between the markets and the major supermarkets, one of which is owned by Walmart, it's possible to get virtually everything you're used to in the U.S. The average price, according to Numbeo, for a loaf of bread is about $1.50, a dozen eggs run about $1.75, and a pound of rice 54 cents. A three-course meal for two at a midrange restaurant will run you $23. Buses, taxis, and mototaxis are the most popular and inexpensive forms of transportation, with many of the buses being the familiar old yellow school buses imported from the U.S. Numbeo lists the average fare as just 50 cents, while the starting tariff for taxis is 67 cents. Each mile after that costs $1.38. 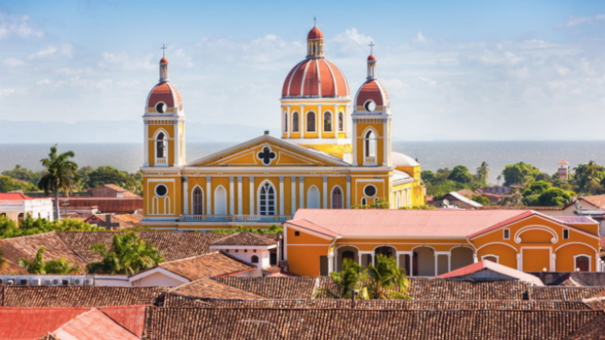 Nicaragua’s Law of Resident Pensioners and Retirees gives tax incentives to encourage foreign retirees to move to the country, and makes it relatively easy to obtain a residency. To qualify, you’ll need to be at least 45 (or married to someone who is 45 or older). You’ll also need to prove you’re healthy (both mentally and physically), you have a clean criminal record and that you earn at least $600 a month from Social Security or another income source. 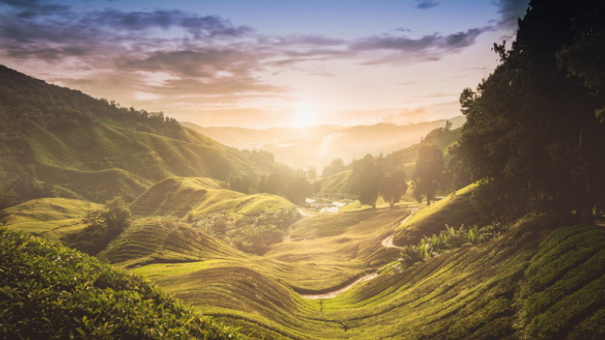 Year-round warm temperatures, stunning beaches, and diverse, bustling cities make Malaysia a great choice for people on the lookout for top spots to retire. Thanks to English being spoken by virtually everyone, it's an easy place to get by without learning a new language. Though it's easy to get your hands on international branded goods, local produce is far cheaper and of good quality. The average price for a loaf of bread is 70 cents, a dozen eggs will cost you about $1.25, and a pound of rice is available for 45 cents, according to Numbeo. Eating out is a particular pleasure is Malaysia, thanks to the unique fusion of cuisines found here. It's also cheap at just $12 for a three-course meal for two at a midrange restaurant. Kuala Lumpur, the capital, is well connected by trains and buses, while the rest of the country is serviced by good bus networks. The average price of a one way train fare is 60 cents, and taxis are also a price-effective option, with starting tariffs of 72 cents and a per-mile cost of just 78 cents. Retiring in this modern Asian country is surprisingly easy with its MM2H or Malaysia My Second Home program, a 10-year renewable visa. When applying, you must show that you have a regular monthly income of 10,000 Malaysian ringgit ($2,420 as of this writing) and liquid assets of at least RM350,000 ($84,700 as of this writing). You’ll also need to get a medical exam in Malaysia, and show proof that you have medical insurance and no criminal record. Once approved, you’ll need to either keep a fixed deposit of RM150,000 ($36,300 as of this writing) or prove that you receive Social Security payments of RM10,000 a month ($2,420 as of this writing). After a year, if you have a fixed deposit, you can withdraw RM50,000 ($12,100 as of this writing) from it for approved expenses related to buying a home or car, paying medical bills, or covering your children’s education in Malaysia. No, we're not talking about the state tucked down in the southeast U.S., but a tiny nation that lies on the edges of both Europe and Asia. Though it's little known, Georgia is growing in popularity, especially among retirees, thanks to its beautiful countryside and extremely low living costs. 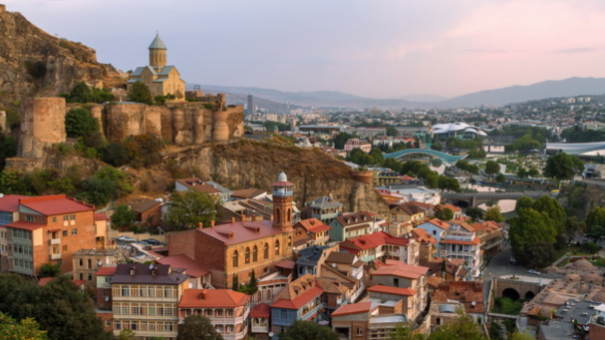 The city of Tbilisi is, in my opinion, one of the more charming cities in Europe and makes for the ideal place to live. Beautiful cobblestoned streets maze their way through ancient churches and old stone buildings, all spilling down the hillside toward the lovely Kura River. Historic pubs place tables on the streets, the wine is fantastic, and both ancient and modern life and architecture are brought together in the city. Georgia is known for its abundance of fresh produce, as well as reputedly being the birthplace of wine. Both are extremely cheap in this country, as are most groceries. A loaf of bread is about 30 cents, a dozen eggs come in at about $1.40, and a pound of rice at 40 cents. Eating out is also reasonable at $20 for a three-course meal for two at a midrange restaurant. Transport in the capital Tbilisi is excellent, with a metro system as well as good bus links and cost-effective taxis. Elsewhere in the country, buses and trains are easy to use. The average fare is just 20 cents, and taxis start at around $1.20, with it costing 35 cents per mile after that. Georgia grants visitors incentives to invest and retire in the country. Citizens of the US and 49 other countries can enter Georgia and stay visa-free for one year. This is a good way that would-be retirees to sample the country before committing to full retirement.